I can't recall myself ordering a different dish when I'm at the Black Canyon Coffee. 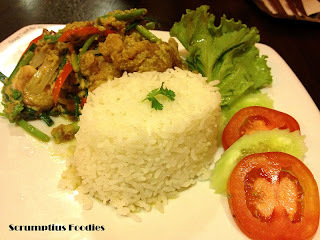 There are some add ons but I always have this "stir-fried curry seafoods with rice" as my main. I like it not because it's the only thing I know but because the first time I tasted it - it's been marked under my "favourites" category. The waiter handed us the menu. I was looking thoroughly on each of the dish so as to try a new one this time, thinking the "new" will be my favourite too. But since there was no new item on the list, I immediately turned the pages and went straight to my favourite. "Anee na Krub", I said to the waiter in Thai. It is sort of like saying "This one". He immediately wrote it down. A few minutes later, my favourite was served in hot. And the rest is history. It took me a few minutes to decide what to cook for dinner two nights ago. I was contemplating whether to have beef mechado or bistek tagalog (beef steak). I haven't tried both dishes yet so choosing between the two was pretty tough. After a thorough deliberation, I opted trying beef steak. The thing is, I went outside and forgot what I was cooking and had it over-cooked. The thinly sliced pieces of beef sirloin looked like they were grilled - over-exposed to fire. I was aghast and immediately turn off the stove and removed the meat. I did try to segregate those that haven't burned yet and those that haven't burned much. Perhaps I could do some magic and still be able to eat them without putting them all to waste. So, I cooked them again without leaving even for a pee. The smell of the burnt meat permeated the dish so the taste wasn't that good either. However, we still ate those amid the faces that changed every single bite. I promised I'll try to do better next time. And so yesterday, I bought a kilo of beef sirloin at the market and started making the steak again. I carefully did it with ease this time - marinating them with ground black pepper, soy sauce and lemon for almost two hours. Then I fried the sliced beef making each side equally cooked, removing the marinate of course. After that, I sauteed the onion rings and set them aside. I then sauteed the garlic on the same pan and added the fried beef a bit later. Next was the soup - using of course the marinate and left simmering for 10-15 minutes, adding water if need be. 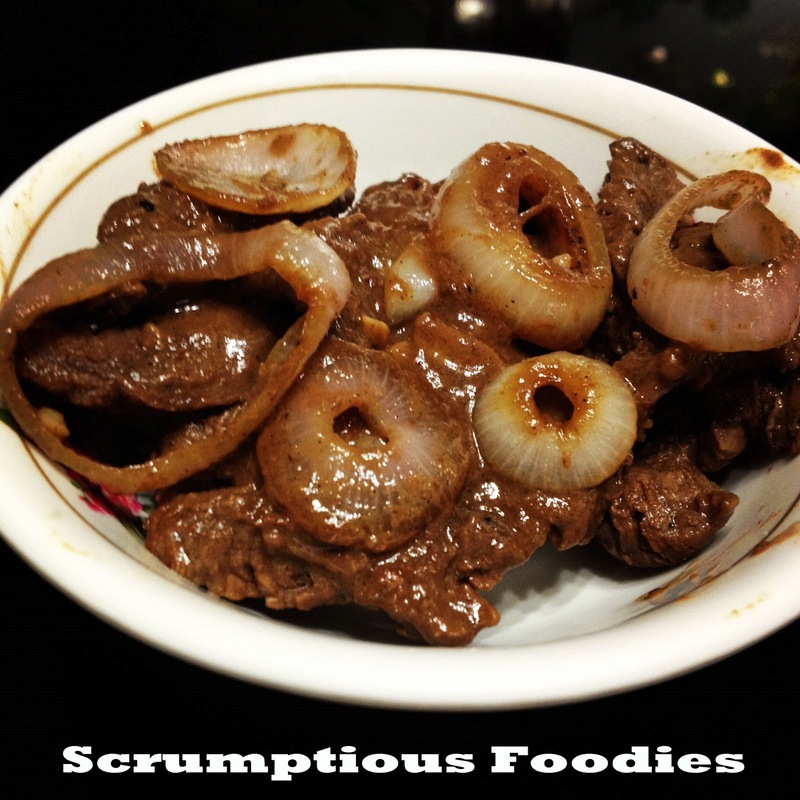 Finally, I added the stir-fried onion with little pouring of salt for great taste. And you know what? 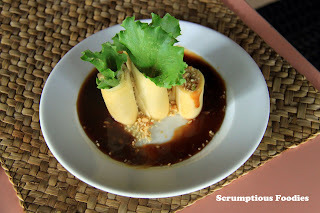 People at home liked it - so do I.
I was not much into Japanese food until last week when we dined at Sukishi restaurant in Central Plaza here in Phitsanulok. I've been to other Japanese restaurants, yes, but never had I tasted a food with excellent taste like Sukishi's. Theirs is superb and is on my highly recommended list. As you can see from the photos its presentation was normal. In fact it doesn't posses other fancy add-ons lining on all the corners nor having these intricate designs that makes the food a real mouthful. The first time I saw it I thought it was just like the others, similar taste with not much of a difference. But hey, I was amazed because the word delicious fits perfectly. We were the ones who cooked every single thing they put on a very large plate. It was for us a complete amazement because everything including the sauces were scrumptious. And because of that, we plan to go back sometime soon. Sukishi, please do wait for us. 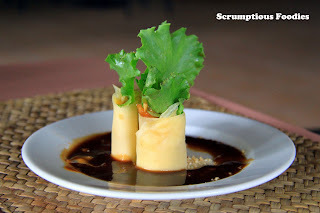 Lumpia is not new to me as it's one of my favorite food especially during breakfast or dinner. I don't know why not much during lunch, though. Anyway, this featured lumpia is a popular dish in the Philippines. 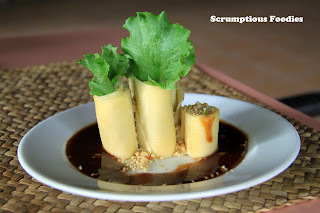 Locals call it "lumpiang sariwa" or fresh lumpia in English. Wrappers are soft and are made with eggs. The inside are mixtures of ground pork, veggies, and other stir-fried ingredients. 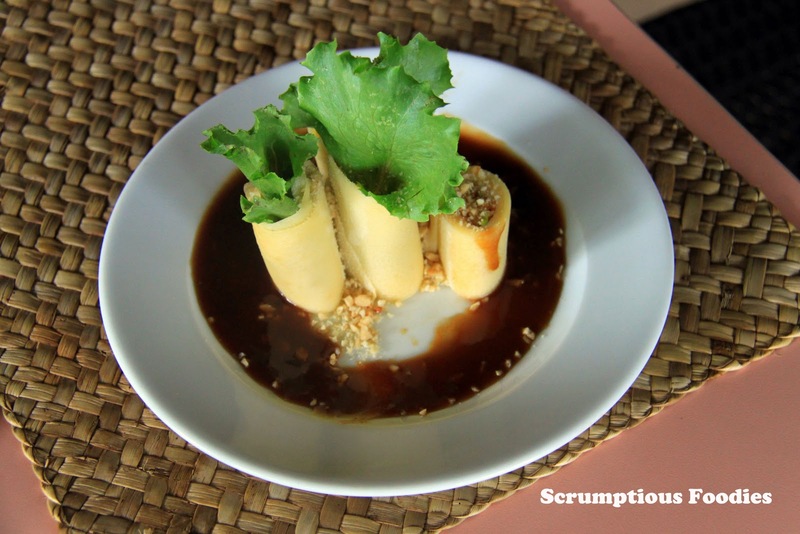 Fresh lumpia is served with peanuts, turnips, and sauce. 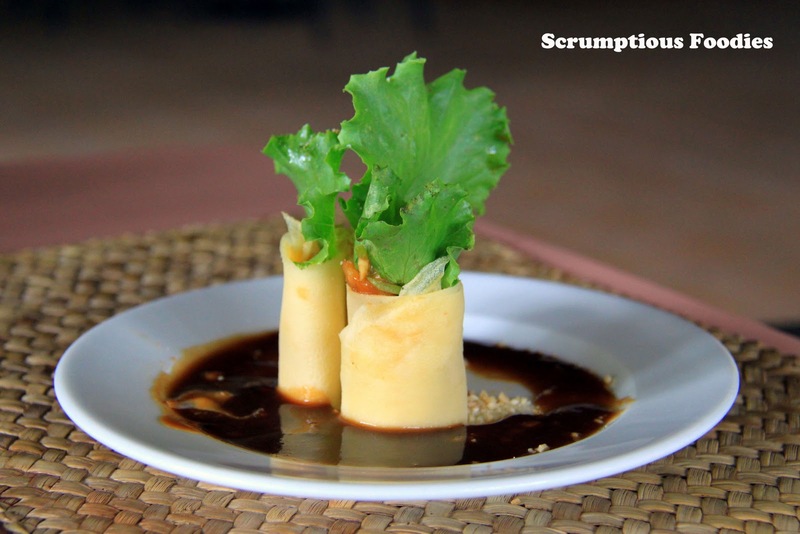 You can also add some fresh veggies like the ones you see above to make a good food presentation. 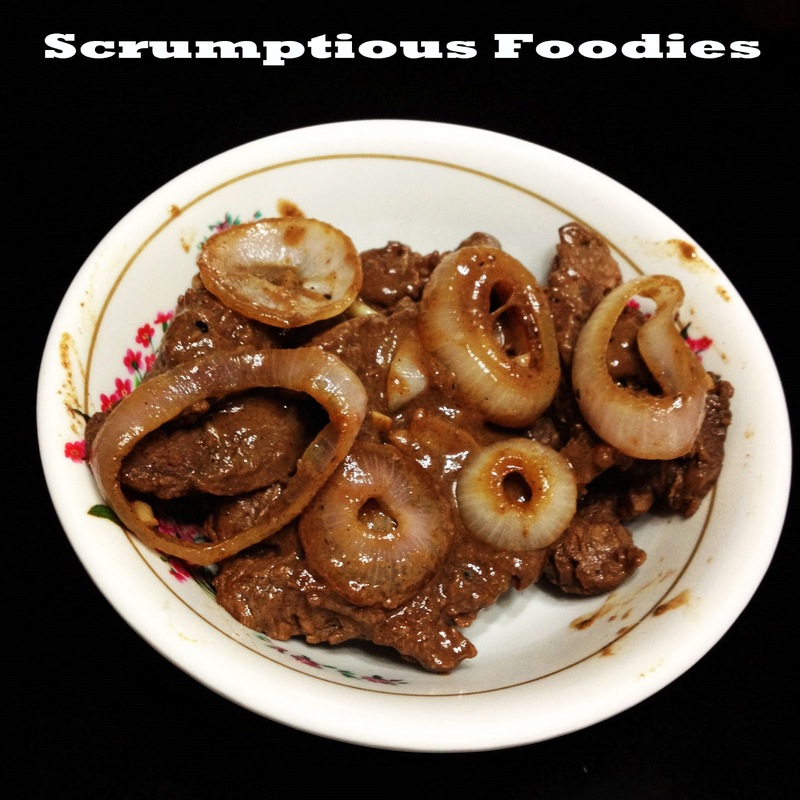 If you are interested in trying it out sometime in the future, here's the link i found that gives a very good description in preparing and cooking it. Click HERE.